After selecting Yes, the Convert DVR function appears, and to speed up the process, we can choose to convert ‘All files with the same extension in the same directory’. 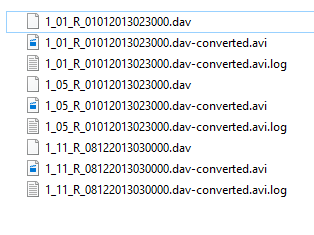 Within a few seconds, all the .dav files have been re-wrapped with no transcoding and the conversions logs are included. Either the first file or the last file to be ‘converted’ will be loaded immediately as a new chain into FIVE. 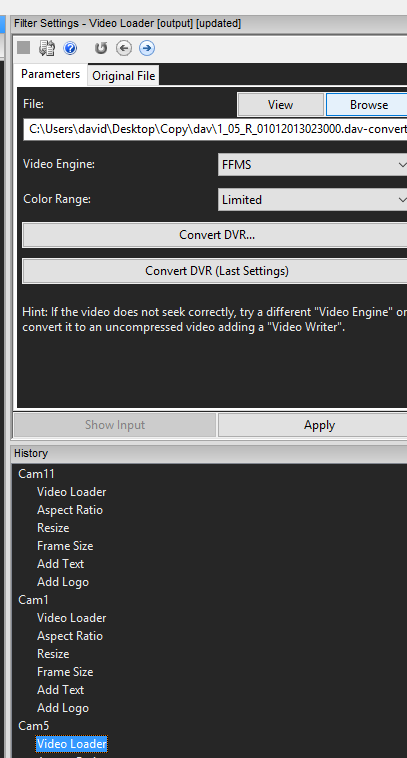 You can choose which one by selecting the option under the Advanced tab of Convert DVR. 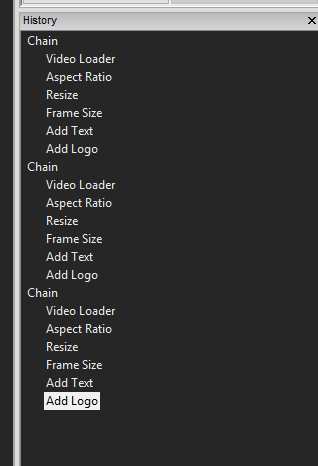 Now that the first video is loaded, we can start to build the Filter Chain using whatever filters are required. 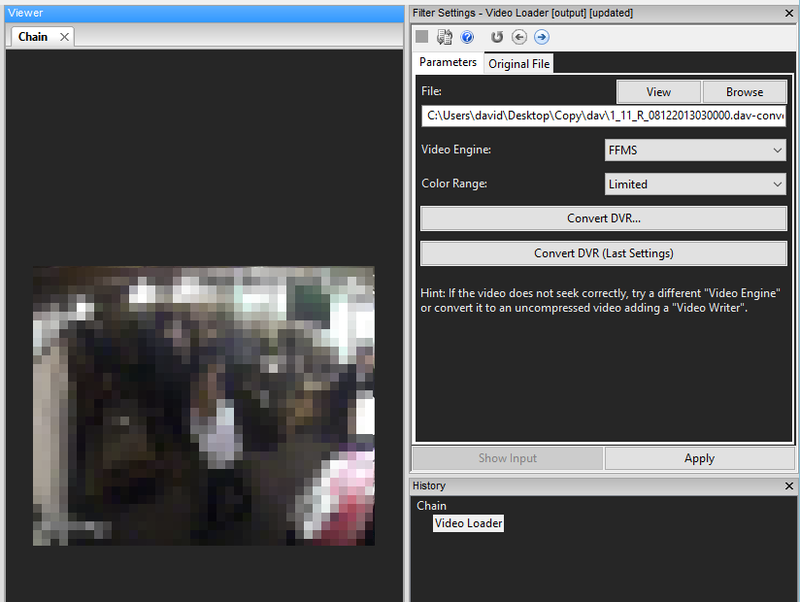 As you can see from the image below, I have used a number of filters to prepare the video for presentation purposes. It’s important to highlight here that the Add Text filter has utilized the Macro function. 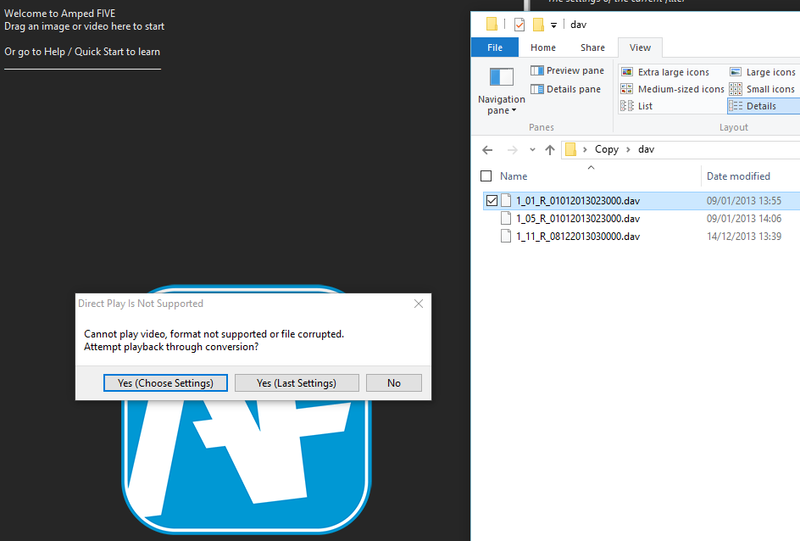 This then prints certain information onto the image, and this is obtained directly from the input file. As such, if I changed the input file, this data would also change. 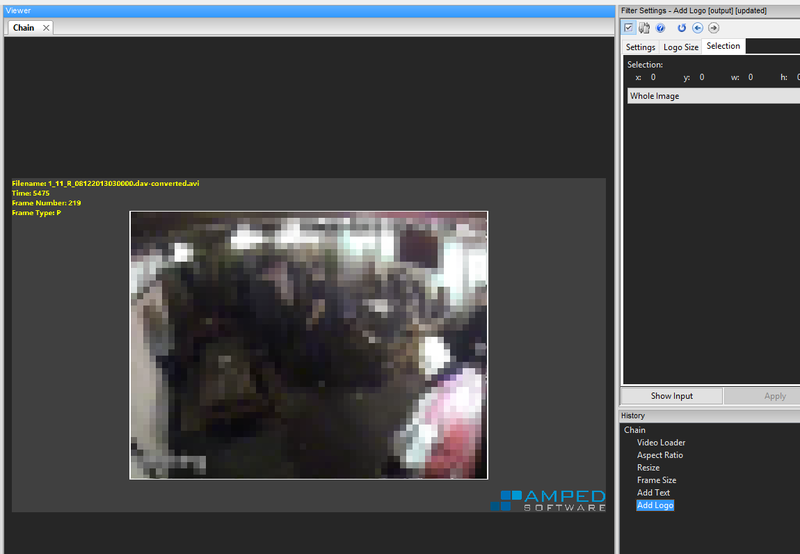 There is now a number of ways to start working on the other camera views. The first way, copies and pastes the filters. After dragging over another one of the converted files (they were all completed at the start), I can copy the filters I have used in the first chain… and then paste them into the new chain. This method is ideal when you only want to copy certain filters with the same parameters, such as the same crop dimensions. The other method, which is much quicker and ideal for situations like the one here, is to copy the entire chain. Just right click ‘Copy’, then ‘Paste After’ where needed. Remember you can also just click and drag down to a blank part of your History. 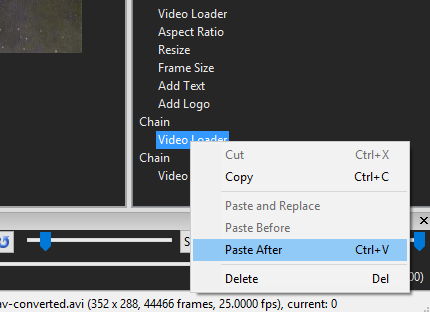 This will automatically Copy and Paste for you! 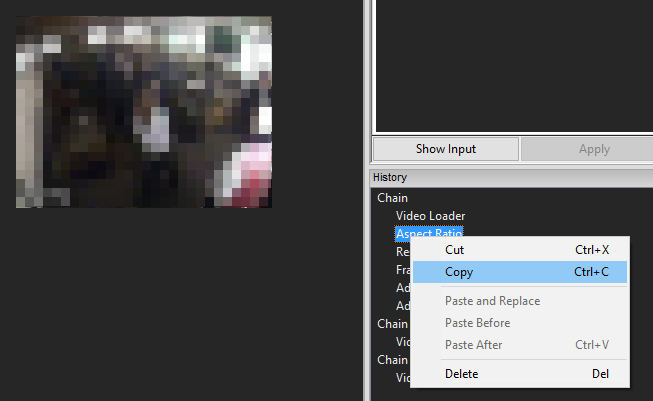 Double click the Video Loader filter in your copied chain and simply change your File parameter to one of the other converted files. Within a matter of minutes, all your chains have all the filters required, and you can export or save as necessary. Copy and pasting the filters and chains in Amped FIVE will dramatically speed up your workflow. Being able to go in and individually change parameters when required makes this method very flexible but, importantly, it retains the integrity of each chain. Various filter chain enhancements are in the pipeline thanks to a number of user suggestions. Keep watching the updates for more exciting news.